2006 Ecology and Society http://www.ecologyandsociety.org/viewissue.php?sf=25. 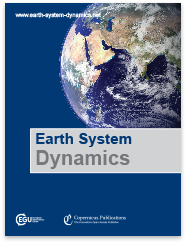 2018 Earth System Dynamics 9: 895-914. The unprecedented use of Earth’s resources by humans, in combination with increasing natural variability in natural processes over the past century, is affecting the evolution of the Earth system. To better understand natural processes and their potential future trajectories requires improved integration with and quantification of human processes. Similarly, to mitigate risk and facilitate socio-economic development requires a better understanding of how the natural system (e.g. climate variability and change, extreme weather events, and processes affecting soil fertility) affects human processes. Our understanding of these interactions and feedback between human and natural systems has been formalized through a variety of modelling approaches. However, a common conceptual framework or set of guidelines to model human–natural-system feedbacks is lacking. The presented research lays out a conceptual framework that includes representing model coupling configuration in combination with the frequency of interaction and coordination of communication between coupled models. 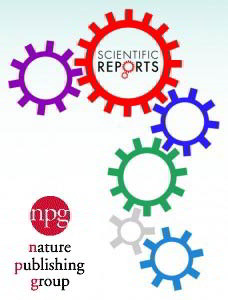 Four different approaches used to couple representations of the human and natural system are presented in relation to this framework, which vary in the processes represented and in the scale of their application. From the development and experience associated with the four models of coupled human–natural systems, the following eight lessons were identified that if taken into account by future coupled human–natural-systems model developments may increase their success: (1) leverage the power of sensitivity analysis with models, (2) remember modelling is an iterative process, (3) create a common language, (4) make code open-access, (5) ensure consistency, (6) reconcile spatio-temporal mismatch, (7) construct homogeneous units, and (8) incorporating feedback increases non-linearity and variability. Following a discussion of feedbacks, a way forward to expedite model coupling and increase the longevity and interoperability of models is given, which suggests the use of a wrapper container software, a standardized applications programming interface (API), the incorporation of standard names, the mitigation of sunk costs by creating interfaces to multiple coupling frameworks, and the adoption of reproducible workflow environments to wire the pieces together. 2018 Regional Environmental Change. 18(4): 1161-1172. The rapid environmental changes currently underway in many dry regions of the world, and the deep uncertainty about their consequences, underscore a critical challenge for sustainability: how to maintain cooperation that ensures the provision of natural resources when the benefits of cooperating are variable, sometimes uncertain, and often limited. In this work, we present the case of a group of rural communities in a semi-desert region of Chile, where cooperation in the form of labor-sharing has helped maintain higher agriculture yields, group cohesion, and identity. Today, these communities face the challenge of adapting to recurrent droughts, extreme rainfall, and desertification. We formulated an agent-based model to investigate the consequences of regional climate changes on the fate of these labor-exchange institutions. The model, implemented in the framework of prospect theory, simulates the economic decisions of households to engage, or not, in labor-sharing agreements under different scenarios of water supply, water variability, and socio-environmental risk. Results show that the number of fulfilled labor-sharing agreements is reduced by water scarcity and environmental variability. More importantly, defections that involve non-fulfillment of these agreements are more likely to emerge at the intermediate level of environmental variability and water supply stress. These results underscore the need for environmental policy instruments that consider the effects of regional climate changes on the social dynamics of these communities. 2017 Nature Human Behavior 1: 624-625. Global groundwater resources are threatened by over-extraction. Castilla-Rho et al. develop an agent-based model of irrigated agriculture based on cooperative and collective action theory, incorporating results from the World Values Survey. The model captures the cultural, socioeconomic, institutional and physical conditions that determine how likely people in different at-risk regions are to comply with regulations. 2017 Journal of Environmental Psychology 52: 194-203. Behavioral experiments have demonstrated that people do cooperate in commons dilemmas. There are alternative theories that are proposed to explain the data. We will use agent-based models to compare alternative behavioral theories on a series of experimental data of irrigation games. The irrigation dilemma captures situations of asymmetric access to common resources while contributions of all participants are needed to maintain the physical infrastructure. In our model analysis we compare various alternative theories, including naïve simple ones like selfish rational actors and altruistic actors. We contrast these with various alternative behavioral models for collective action as well as inclusion of other-regarding preferences. The systematic comparison of alternative models on experimental data from 44 groups enables us to test which behavioral theories best explain the observed effects of communication. We do not find that one theory clearly outperform others in explaining the data. 2017 Ecological Economics 142: 91-93. The use of destructive fishing methods is a serious problem, especially for tropical and developing countries. Due to inter temporal nature of fisheries extraction activities, standard economic theory suggests that an individual’s time preference can play a major role in determining the gear choice decision. Based on earlier theoretical work we identify two ways in which individual time preferences can impact the adoption of destructive extraction methods; (i) the conservation effect which posits that patient individuals (as indicated by relatively high discount factor) are less likely to use destructive extraction methods since they are more likely to account for the loss of future income that is accompanied by using these methods, (ii) the disinvestment effect which argues that patient individuals are more likely to use destructive extraction methods since they have greater investment capability. Using an agent-based model we clarify the conditions under which one of these effects is more dominant than the other one. Our model suggests that the nature of destructive gear along with the level of social dilemma determines whether patient or impatient individuals (relatively lower discount factor) are more likely to adopt such a gear. Additionally agent’s beliefs regarding future resource condition and other agent’s extraction level can have a major influence in some cases. 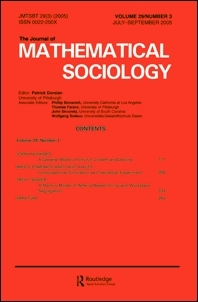 2017 Journal of Mathematical Sociology 41(1): 26-45. Social identities are among the key factors driving behavior in complex societies. Signals of social identity are known to influence individual behaviors in the adoption of innovations. Yet the population-level consequences of identity signaling on the diffusion of innovations are largely unknown. Here we use both analytical and agent-based modeling to consider the spread of a beneficial innovation in a structured population in which there exist two groups who are averse to being mistaken for each other. We investigate the dynamics of adoption and consider the role of structural factors such as demographic skew and communication scale on population-level outcomes. We find that outgroup aversion can lead to adoption being delayed or suppressed in one group, and that population-wide underadoption is common. Comparing the two models, we find that differential adoption can arise due to structural constraints on information flow even in the absence of intrinsic between-group differences in adoption rates. Further, we find that patterns of polarization in adoption at both local and global scales depend on the details of demographic organization and the scale of communication. This research has particular relevance to widely beneficial but identity-relevant products and behaviors, such as green technologies, where overall levels of adoption determine the positive benefits that accrue to society at large. 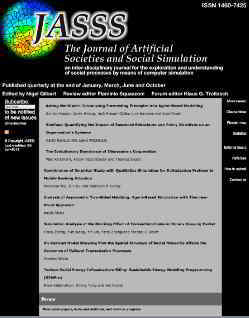 2017 Journal of Artificial Societies and Social Simulation 20 (1) 2. To evaluate the concern over the reproducibility of computational science, we reviewed 2367 journal articles on agent-based models published between 1990 and 2014 and documented the public availability of source code. The percentage of publications that make the model code available is about 10%. The percentages are similar for publications that are reportedly dependent on public funding. There are big differences among journals in the public availability of model code and software used. This suggests that the varying social norms and practical convenience around sharing code may explain some of the differences among different sectors of the scientific community. 2017 Ecological Economics 131: 21-35. Formal models are commonly used in natural resource management (NRM) to study human-environment interactions and inform policy making. In the majority of applications, human behaviour is represented by the rational actor model despite growing empirical evidence of its shortcomings in NRM contexts. While the importance of accounting for the complexity of human behaviour is increasingly recognized, its integration into formal models remains a major challenge. The challenges are multiple: i) there exist many theories scattered across the social sciences, ii) most theories cover only a certain aspect of decision-making, iii) they vary in their degree of formalization, iv) causal mechanisms are often not specified. We provide a framework- MoHuB (Modelling Human Behavior) – to facilitate a broader inclusion of theories on human decision-making in formal NRM models. It serves as a tool and common language to describe, compare and communicate alternative theories. In doing so, we not only enhance understanding of commonalities and differences between theories, but take a first step towards tackling the challenges mentioned above. This approach may enable modellers to find and formalize relevant theories, and be more explicit and inclusive about theories of human decision making in the analysis of social-ecological systems. 2016 Scientific Reports 6, 29828; doi: 10.1038/srep29828. The evolution of cooperation is a fundamental problem in biology, especially for non-relatives, where indirect fitness benefits cannot counter within-group inequalities. Multilevel selection models show how cooperation can evolve if it generates a group-level advantage, even when cooperators are disadvantaged within their group. This allows the possibility of group selection, but few examples have been described in nature. Here we show that group selection can explain the evolution of cooperative nest founding in the harvester ant Pogonomyrmex californicus. Through most of this species’ range, colonies are founded by single queens, but in some populations nests are instead founded by cooperative groups of unrelated queens. In mixed groups of cooperative and single-founding queens, we found that aggressive individuals had a survival advantage within their nest, but foundress groups with such non-cooperators died out more often than those with only cooperative members. An agent-based model shows that the between-group advantage of the cooperative phenotype drives it to fixation, despite its within-group disadvantage, but only when population density is high enough to make between-group competition intense. Field data show higher nest density in a population where cooperative founding is common, consistent with greater density driving the evolution of cooperative foundation through group selection. 2016 Global Environmental Change 40: 82-91. Improving the adaptive capacity of small-scale irrigation systems to the impacts of climate change is crucial for food security in Asia. This study analyzes the capacity of small-scale irrigation systems dependent on the Asian monsoon to adapt to variability in river discharge caused by climate change. Our study is motivated by the Pumpa irrigation system, a small-scale irrigation system located in Nepal that is a model for this type of system. We developed an agent-based model in which we simulated the decisions farmers make about the irrigation strategy to use according to available water flow. Given the uncertainty associated with how climate change may affect the Asian monsoon, we simulated the performance of the system under different projections of climate change in the region (increase and decrease in rainfall, reduction and expansion of the monsoon season, and changes in the timing of the onset of the monsoon). Accordingly to our simulations, farmers might need to adapt to rainfall intensification and a late onset in the monsoon season. The demands for collective action among farmers (e.g. infrastructure repair, meetings, decisions, etc.) might increase considerably due to climate change. Although our model suggests that investment in new infrastructure might increase the performance of the system under some climate change scenarios, the high inequality among farmers when water availability is reduced might hinder the efficiency of these measures due to a reduction of farmers’ willingness to cooperate. Our modeling exercise helps to hypothesize about the most sensitive climate change scenarios for smallscale irrigation farming in Nepal and helps to frame a discussion of some possible solutions and fundamental trade-offs in the process of adaptation to improve for food and water security under climate change. 2015 Proceedings of the 2015 XSEDE Conference: Scientific Advancements Enabled by Enhanced Cyberinfrastructure 2:1-2:8. To better understand the origins of modern humans, we are developing a paleoscape model that simulates the climatic conditions and distribution of natural resources available to humans during this critical stage of human evolution. Our geographic focus is the southern Cape region of South Africa, which was rich in natural resources for hunter-gatherer groups including edible plants, shellfish, animals, and raw materials. We report our progress in using the Extreme Science and Engineering Discovery Environment (XSEDE) to realize the paleoscape model, which consists of four components: a climate model, correlative and dynamic vegetation models, and agent-based models. We adopt a workflow-based approach that combines modeling and data analytics to couple these four modeling components using XSEDE. We have made significant progress in scaling climate and agent-based models on XSEDE. Our next steps will be to couple these models to the vegetation models to complete the workflow, which will require overcoming multiple theoretical, methodological, and technical challenges. 2015 Ecological Modelling 296: 1-11. We use an agent-based model to analyze the effects of spatial heterogeneity and agents’ mobility on social–ecological outcomes. Our model is a stylized representation of a dynamic population of agents moving and harvesting a renewable resource. Cooperators (agents who harvest an amount close to the maximum sustainable yield) and selfish agents (those who harvest an amount greater than the sustainable yield) are simulated in the model. Three indicators of the outcomes of the system are analyzed: the number of settlements, the resource level, and the proportion of cooperators in the population. Our paper adds a more realistic approach to previous studies on the evolution of cooperation by considering a social–ecological system in which agents move in a landscape to harvest a renewable resource. Our results conclude that resource dynamics play an important role when studying levels of cooperation and resource use. Our simulations show that the agents’ mobility significantly affects the outcomes of the system. This response is nonlinear and very sensible to the type of spatial distribution of the resource richness. In our simulations, better outcomes of long-term sustainability of the resource are obtained with moderate agent mobility and cooperation is enhanced in harsh environments with low resource level in which cooperative groups have natural boundaries fostered by agents’ low mobility. 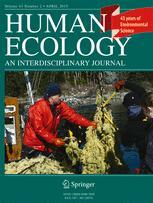 2014 Human Ecology 42 (6): 823-835. We develop an agent-based model of foraging behavior based on ecological parameters of the environment and prey characteristics measured in the Mbaracayu Reserve Paraguay. We then compare estimated foraging behavior from our model to the ethnographically observed behavior of Ache hunter–gatherers who inhabit the region and show a close match for daily harvest rates, time allocation, and species composition of prey. The model allows us to explore the implications of social living, cooperative hunting, variation in group size and mobility, under Ache-like ecological conditions. Simulations show that social living decreases daily risk of no food, but cooperative hunting has only a modest effect on mean harvest rates. Analysis demonstrates that bands should contain 7–8 hunters who move nearly every day in order to achieve the best combination of average harvest rates and low probability of no meat in camp. 2014 Advances in Complex Systems 17(3/4): 1450015. Human societies are unique in the level of cooperation among non-kin. Evolutionary models explaining this behavior typically assume pure strategies of cooperation and defection. Behavioral experiments, however, demonstrate that humans are typically conditional co-operators who have other-regarding preferences. Building on existing models on the evolution of cooperation and costly punishment, we use a utilitarian formulation of agent decision making to explore conditions that support the emergence of cooperative behavior. Our results indicate that cooperation levels are significantly lower for larger groups in contrast to the original pure strategy model. Here, defection behavior not only diminishes the public good, but also affects the expectations of group members leading conditional co-operators to change their strategies. Hence defection has a more damaging effect when decisions are based on expectations and not only pure strategies. 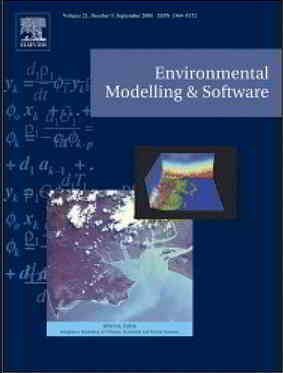 2014 Environmental Modelling and Software 54(1):53-59. In recent years there has been a shift in biodiversity efforts from protected areas to one of interlinked habitat patches across multiple land tenure types. Much work remains on how managers can intervene in such systems to achieve basic goals. We use an agent-based model of a metapopulation with predator–prey dynamics and density-dependent migration to examine theoretically the capacity of a manager to modify the ecosystem to achieve conservation goals. We explore management strategies aimed at maintaining one of two goals – local or global coexistence of species. To achieve their goal, the manager varies the connectivity between patches based on one of three strategies – the monitoring of predator, prey, or the vegetation carrying capacity of the patches. We find that strategies that lead to highest coexistence monitor mid-tier populations globally. Our goal is to use our model results to advance decision-making in conservation beyond protected areas, typical in today’s conservation. 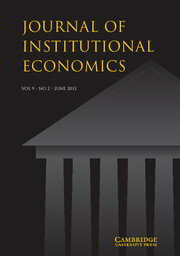 2013 Journal of Institutional Economics 9(4): 427-447. 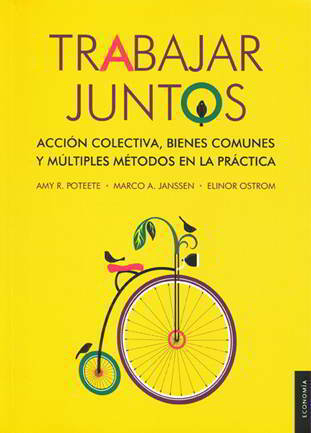 Elinor Ostrom was a leader in using multiple methods to perform institutional analysis. In this paper, we discuss how a multi-method approach she pioneered may be used to study the robustness of social–ecological systems. We synthesize lessons learned from a series of studies on small-scale irrigation systems in which we use case-study analysis, experimental methods in laboratory and field settings, and mathematical models. The accumulated insights show the importance of creating institutional arrangements that fit the human ecology within the biophysical constraints of the system. The examples of work based on multiple methods approaches presented here highlight several lessons. For example, experimental work helps us better understand the details of how the ability to maintain trust relationships, low levels of inequality, and low transaction costs of coordination are critical for success. Likewise, the integration of case-study analysis and modeling helps us better understand how systems that can leverage biophysical characteristics to help address challenges of monitoring, sanctioning, and coordination may be able to increase their chances of success. 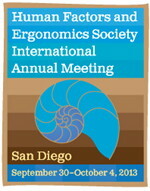 2013 Proceedings of the Human Factors and Ergonomics Society Annual Meeting 57: 1314-1318. Cyber security defense is often performed by a group of people called cyber defense analysts and yet team work and collaboration in cyber defense is almost non-existent. This study, using an agent-based model of the cyber defense analyst’s task and interactions, explored the effects of different collaboration strategies and team sizes on performance measures such as number of intrusion alerts accurately processed by the analysts and rewards they accrue from accurately processing the alerts. This study also explored the feasibility of using agent-based modeling methodologies for studying team processes in the cyber defense context. The model revealed that specific collaboration strategies lead to better performance and that large teams are detrimental to performance. 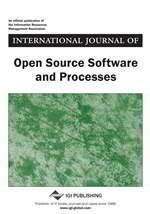 2013 International Journal of Innovation and Technology Management 10(5):1-22. A framework is presented to simulate and analyze the effect of multiple business scenarios on the adoption behavior of a group of technology products. Diffusion is viewed as an emergent phenomenon that results from the interaction of consumers. An agent-based model is used in which potential adopters of technology product are allowed to be influenced by their local interactions within the social network. Along with social influence, the effect of product features is important and we ascribe feature sensing attributes to the consumer agents along with sensitivities to social influence. 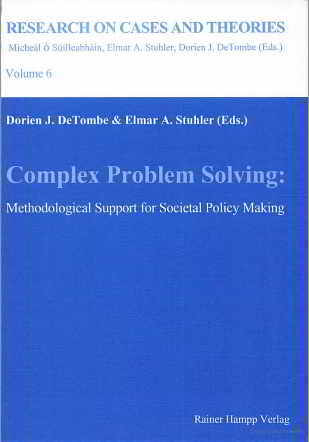 The model encompasses utility theory and discrete choice models in the decision-making process for the consumers. We use expressive machine learning algorithms that can handle complex, nonlinear, and interactive effects to identify important inputs that contribute to the model and to graphically summarize their effects. We present a realistic case study that demonstrates the ability of this framework to model changes in market shares for a group of products in response to business scenarios such as new product introduction and product discontinuation under different pricing strategies. The models and other tools developed here are envisioned to be a part of a recommender system that provides insights into the effects of various business scenarios on shaping market shares of different product groups. 2012 Ecological Modelling 242: 81-91. Increased landscape fragmentation can have deleterious effects on terrestrial biodiversity. The use of protected areas, as islands of conservation, has limits to the extent of biodiversity conservation due to isolation and scale. As a result, there is a push to transition from solely developing protected areas to policies that also support corridor management. Given the complexities of multi-species interaction on a fragmented landscape, managers need additional tools to aid in decision-making and policy development. We develop an agent-based model (ABM) of a two-patch metapopulation with local predator–prey dynamics and variable, density-dependent species dispersal. The goal is to assess how connectivity between patches, given a variety of dispersal schema for the targeted interacting populations, promotes coexistence among predators and prey. The experiment conducted suggests that connectivity levels at both extremes, representing very little risk and high risk of species mortality, do not augment the likelihood of coexistence while intermediate levels do. Furthermore, the probability of coexistence increases and spans a wide range of connectivity levels when movement is less probabilistic and more dependent on population feedback. Knowledge of these connectivity tradeoffs is essential for assessing the value of habitat corridors, and can be further elucidated under the agent-based framework. 2012 Journal of Artificial Societies and Social Simulation 15 (3) 5. This paper reports the results of the inaugural modeling competition sponsored by the Network for Computational SocioEcological Sciences (CoMSES Network). Competition participants were provided with a dataset collected from human-subjects experiments and were asked to develop an agent-based model that replicated behavioral patterns reflected in the data with the goal of using the model to predict behavioral changes in a slightly modified experimental treatment. The data were collected in a resource foraging experiment in which human subjects moved avatars on a computer screen to harvest tokens in a common pool resource. In the original experiments, on which the competition participants based their models, the subjects possessed full information about the state of the resource and the actions of the other group members sharing the resource. The competition challenged participants to predict what would happen if the experimental subjects had limited vision. Using only the data from the original experiment, participants had to design a model that would predict the behavioral changes that would be observed in the new experiment treatment. We compared the models on their assumptions about speed, direction, and harvesting decisions agents make. All the submitted models underestimated the amount of resources harvested. The best performing model was the simplest model submitted and had the best fit with the original dataset provided. 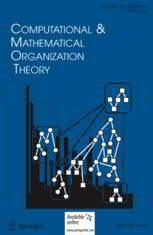 2012 Journal of Economic Behaviour and Organization 81(1): 220-229. 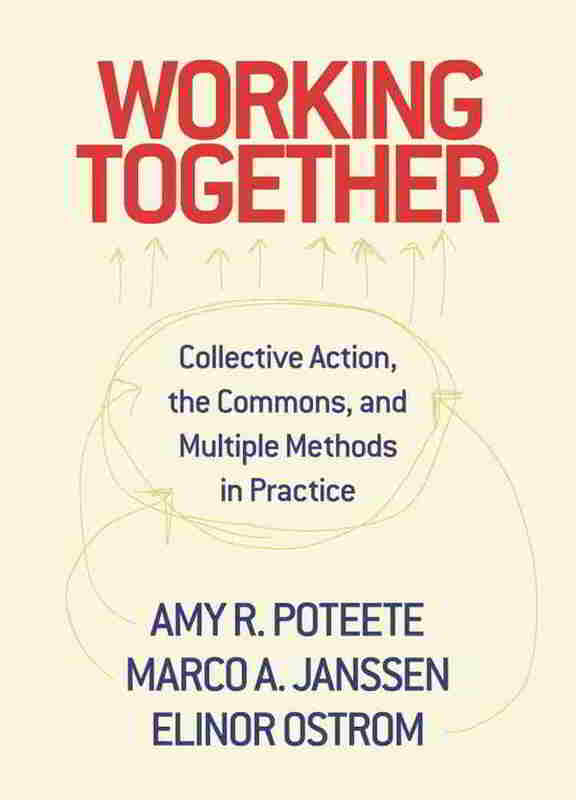 Field experiments with asymmetric commons dilemmas have shown that groups who are able to derive high social efficiency also had higher equity compared to groups who were not able to derive significant levels of social efficiency. These findings resemble the high productivity in long-lasting irrigation systems based on self-governance. We present an agent-based model based on cultural group selection that shows that the patterns observed in the field experiments can be evolved in cases where agents participate regularly in less challenging symmetric public good dilemmas. These results indicate that cooperation in asymmetric dilemmas can evolve and persist when the agents contend with other social dilemmas than the asymmetric dilemmas. 2011 Landscape Ecology 26(1): 33-45. Landscapes are increasingly fragmented, and conservation programs have started to look at network approaches for maintaining populations at a larger scale. We present an agent-based model of predator–prey dynamics where the agents (i.e. the individuals of either the predator or prey population) are able to move between different patches in a landscaped network. We then analyze population level and coexistence probability given node-centrality measures that characterize specific patches. We show that both predator and prey species benefit from living in globally well-connected patches (i.e. with high closeness centrality). However, the maximum number of prey species is reached, on average, at lower closeness centrality levels than for predator species. Hence, prey species benefit from constraints imposed on species movement in fragmented landscapes since they can reproduce with a lesser risk of predation, and their need for using anti-predatory strategies decreases. 2010 Advances in Complex Systems 13(6): 741-754. Shedding-type of card games are used as a fruit fly to study the evolution of institutional arrangements. Eleven types of rules are identified which leads to a spectrum of 2048 possible shedding games. Each game can be evaluated by the length and difficulty of the game and as such a fitness landscape of possible shedding games can be constructed. Building on cultural group selection simulations are performed with 100 groups which start with randomly throwing cards and evolving to games similar to UNO. Finally, experiments have been performed where characteristics of agents co-evolve with the rules of the game. 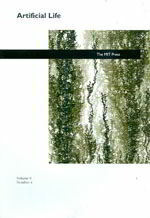 2010 Ecology and Society 5(2): 19. Human societies have adapted to spatial and temporal variability, such as that found in the prehistoric American Southwest. A question remains as to what the implications are of different social adaptations to long-term vulnerability of small-scale human societies. A stylized agent-based model is presented that captures small-group decision making on movements and resource use in ancient arid environments. The impact of various assumptions concerning storage, exchange, sharing, and migration on indicators of aggregation and sustainability are explored. Climate variability is found to increase the resilience of population levels at the system level. Variability reduces the time a population stays in one location and can degrade the soils. In addition to climate variability, the long-term population dynamics is mainly driven by the level of storage and the decision rules governing when to migrate and with whom to exchange. 2010 Journal of Product Innovation Management 27(2): 267-282. Innovation diffusion theory suggests that consumers differ concerning the number of contacts they have and the degree and the direction to which social influences determine their choice to adopt. To test the impacts of these factors on innovation diffusion, in particular the occurrence of hits and flops, a new agent-based model for innovation diffusion is introduced. This model departs from existing percolation models by using more realistic agents (both individual preferences and social influence) and more realistic networks (scale free with cost constraints). Furthermore, it allows consumers to weight the links they have, and it allows links to be directional. In this way this agent-based model tests the effect of VIPs who can have a relatively large impact on many consumers. Results indicate that markets with high social influence are more uncertain concerning the final success of the innovation and that it is more difficult for the innovation to take off. As consumers affect each other to adopt or not at the beginning of the diffusion, the new product has more difficulties to reach the critical mass that is necessary for the product to take off. In addition, results of the simulation experiments show under which conditions highly connected agents (VIPs) determine the final diffusion of the innovation. Although hubs are present in almost any network of consumers, their roles and their effects in different markets can be very different. Using a scale-free network with a cut-off parameter for the maximum number of connections a hub can have, the simulation results show that when hubs have limits to the maximum number of connections the innovation diffusion is severely hampered, and it becomes much more uncertain. However, it is found that the effect of VIPs on the diffusion curve is often overestimated. In fact when the influence of VIPs on the decision making of the consumers is strengthened compared with the influence of normal friends, the diffusion of the innovation is not substantially facilitated. It can be concluded that the importance of VIPs resides in their capacity to inform many consumers and not in a stronger persuasive power. 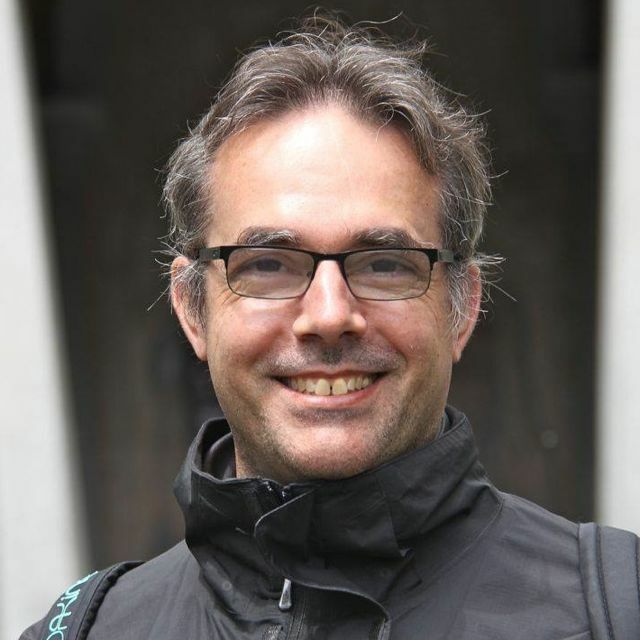 A major challenge in the development of computational models of collective behavior is the empirical validation. Experimental data from a spatially explicit dynamic commons dilemma experiment is used to empirically ground an agent-based model. Three distinct patterns are identified in the data. Two naïve models, random walk and greedy agents, do not produce data that match the patterns. A more comprehensive model is presented that explains how participants make movement and harvest decisions. Using pattern-oriented modeling the parameter space is explored to identify the parameter combinations that meet the three identified patterns. Less than 0.1% of the parameter combinations meet all the patterns. These parameter settings were used to successfully predict the patterns of a new set of experiments. 2009 Journal of Artificial Societies and Social Simulation 12 (4) 13. A replication and analysis of the Artificial Anasazi model is presented. It is shown that the success of replicating historical data is based on two parameters that adjust the carrying capacity of the Long House Valley. Compared to population estimates equal to the carrying capacity the specific agent behavior contributes only a modest improvement of the model to fit the archaeological records. 2009 International Journal of Intelligent Control and Systems 14(1): 77-86. With the Internet has come the phenomenon of people volunteering to work on digital public goods such as open source software and online encyclopedia articles. Presumably, the success of individual public goods has an effect on attracting volunteers. However, the definition of success is ill-defined. This paper explores the impact of different success metrics on a simple public goods model. The findings show that the different success metrics considered do have an impact on the behavior of the model, with the largest differences being between consumeroriented and producer-oriented metrics. This indicates that many proposed success metrics may be mapped into one of these two categories and within a category, all success metrics measure the same phenomenon.We argue that the characteristics of produceroriented metrics more closely match real world phenomena, indicating that public goods are driven by producer, and not consumer, interests. 2009 International Journal of Open Source Software and Processes 1(2): 1-13.. The last few years have seen a rapid increase in the number of Free/Libre Open Source Software (FLOSS) projects. Some of these projects, such as Linux and the Apache web server, have become phenomenally successful. However, for every successful FLOSS project there are dozens of FLOSS projects which never succeed. These projects fail to attract developers and/or consumers and, as a result, never get off the ground. The aim of this research is to better understand why some FLOSS projects flourish while others wither and die. This article presents a simple agent-based model that is calibrated on key patterns of data from SourceForge, the largest online site hosting open source projects. The calibrated model provides insight into the conditions necessary for FLOSS success and might be used for scenario analysis of future developments of FLOSS. 2009 World Archaeology 41(1): 112-133. Ethnohistory, genetics and simulation are used to propose a new ‘budding model’ to describe the historical processes by which complex irrigation communities may come into existence. We review two alternative theories, Wittfogel’s top-down state-formation theory and common-pool resource management, and suggest that a budding model would better account for existing archaeological and ethnographic descriptions of a well-studied network of irrigation communities on the island of Bali. The budding model is supported by inscriptions and ethnohistorical documents describing irrigation works in and around the drainage of the Petanu River, an area with some of the oldest evidence for wet-rice agriculture in Bali. Genetic analysis of Y-STR and mtDNA shows correlated demographic histories and decreased diversity in daughter villages, consistent with the budding model. Simulation results show that the network of irrigation communities can effectively adjust to repeated budding events that could potentially shock the system outside the parameter space where good harvests can be maintained. Based on this evidence we argue that the budding model is a robust explanation of the historical processes that led to the emergence and operation of Petanu irrigation communities. 2008 Journal of Theoretical Biology 254(3):541-545. Altruistic punishment is suggested to explain observed high levels of cooperation among non-kin related humans. However, laboratory experiments as well as ethnographic evidence suggest that people might retaliate if being punished, and that this reduces the level of cooperation. Building on existing models on the evolution of cooperation and altruistic punishment, we explore the consequences of the option of retaliation. We find that cooperation and altruistic punishment does not evolve with larger population levels if the option of retaliation is included. 2008 Journal of Economic Behavior and Organization 65(3-4): 458-471. This article explores the conditions under which agents will cooperate in one-shot two-player Prisoner’s Dilemma games if they are able to withdraw from playing the game and can learn to recognize the trustworthiness of their opponents. When the agents display a number of symbols and they learn which symbols are important to estimate the trustworthiness of others, agents will evolve who cooperate in games in line with experimental observations. These results are robust to significant levels of mutations and errors made by the players. 2007 Journal of Business Research 60(8): 826-835. Many marketing efforts focus on promotional activities that support the launch of new products. Promotional strategies may play a crucial role in the early stages of the product life cycle, and determine to a large extent the diffusion of a new product. This paper proposes an agent-based model to simulate the efficacy of different promotional strategies that support the launch of a product. The article in particular concentrates on the targeting and the timing of the promotions. The results of the simulation experiments indicate that promotional activities highly affect diffusion dynamics. The findings indicate that: (1) the absence of promotional support and/or a wrong timing of the promotions may lead to a failure of product diffusion; (2) the optimal targeting strategy is to address distant, small and cohesive groups of consumers; and (3) the optimal timing of a promotion differs between durable categories (white goods, such as kitchens and laundry machines, versus brown goods, such as TVs and CDs players). These results contribute to the planning and the management of promotional strategies supporting new product launches. 2007 Journal of Land Use Science 2(1): 31-55. The use of agent-based models (ABMs) for investigating land-use science questions has been increasing dramatically over the last decade. Modelers have moved from ‘proofs of existence’ toy models to case-specific, multi-scaled, multi-actor, and data-intensive models of land-use and land-cover change. An international workshop, titled ‘Multi-Agent Modeling and Collaborative Planning—Method2Method Workshop’, was held in Bonn in 2005 in order to bring together researchers using different data collection approaches to informing agent-based models. Participants identified a typology of five approaches to empirically inform ABMs for land use science: sample surveys, participant observation, field and laboratory experiments, companion modeling, and GIS and remotely sensed data. This paper reviews these five approaches to informing ABMs, provides a corresponding case study describing the model usage of these approaches, the types of data each approach produces, the types of questions those data can answer, and an evaluation of the strengths and weaknesses of those data for use in an ABM. 2007 Computational and Mathematical Organization Theory 13(2): 185-202. Diffusions of new products and technologies through social networks can be formalized as spreading of infectious diseases. However, while epidemiological models describe infection in terms of transmissibility, we propose a diffusion model that explicitly includes consumer decision-making affected by social influences and word-of-mouth processes. In our agent-based model consumers’ probability of adoption depends on the external marketing effort and on the internal influence that each consumer perceives in his/her personal networks. Maintaining a given marketing effort and assuming its effect on the probability of adoption as linear, we can study how social processes affect diffusion dynamics and how the speed of the diffusion depends on the network structure and on consumer heterogeneity. First, we show that the speed of diffusion changes with the degree of randomness in the network. In markets with high social influence and in which consumers have a sufficiently large local network, the speed is low in regular networks, it increases in small-world networks and, contrarily to what epidemic models suggest, it becomes very low again in random networks. Second, we show that heterogeneity helps the diffusion. Ceteris paribus and varying the degree of heterogeneity in the population of agents simulation results show that the more heterogeneous the population, the faster the speed of the diffusion. These results can contribute to the development of marketing strategies for the launch and the dissemination of new products and technologies, especially in turbulent and fashionable markets. 2007 Agricultural Systems 93(1-3): 170-190. Farmers within irrigation systems, such as those in Bali, solve complex coordination problems to allocate water and control pests. Lansing and Kremer’s [Lansing, J.S., Kremer, J.N., 1993. Emergent properties of Balinese water temples. American Anthropologist 95(1), 97–114] study of Balinese water temples showed that this coordination problem can be solved by assuming simple local rules for how individual communities make their decisions. Using the original Lansing–Kremer model, the robustness of their insights was analyzed and the ability of agents to self-organize was found to be sensitive to pest dynamics and assumptions of agent decision making. 2006 Ecology and Society 11(2): 37. There is an increasing drive to combine agent-based models with empirical methods. An overview is provided of the various empirical methods that are used for different kinds of questions. Four categories of empirical approaches are identified in which agent-based models have been empirically tested: case studies, stylized facts, role-playing games, and laboratory experiments. We discuss how these different types of empirical studies can be combined. The various ways empirical techniques are used illustrate the main challenges of contemporary social sciences: (1) how to develop models that are generalizable and still applicable in specific cases, and (2) how to scale up the processes of interactions of a few agents to interactions among many agents. 2006 Ecology and Society 11(2): 21. This study compares the empirical performance of a variety of learning models and theories of social preferences in the context of experimental games involving the provision of public goods. Parameters are estimated via maximum likelihood estimation. We also performed estimations to identify different types of agents and distributions of parameters. The estimated models suggest that the players of such games take into account the learning of others and are belief learners. Despite these interesting findings, we conclude that a powerful method of model selection of agent-based models on dynamic social dilemma experiments is still lacking. 2006 Journal of Theoretical Biology 243(1): 134-142. The evolution of cooperation is possible with a simple model of a population of agents that can move between groups. The agents play public good games within their group. The relative fitness of individuals within the whole population affects their number of offspring. Groups of cooperators evolve but over time are invaded by defectors which eventually results in the group’s extinction. However, for small levels of migration and mutation, high levels of cooperation evolve at the population level. Thus, evolution of cooperation based on individual fitness without kin selection, indirect or direct reciprocity is possible. We provide an analysis of the parameters that affect cooperation, and describe the dynamics and distribution of population sizes over time. 2006 Ecological Applications 16(2): 572-583. We explore the response of pastoralists to rangeland resource variation in time and space, focusing on regions where high variation makes it unlikely that an economically viable herd can be maintained on a single management unit. In such regions, the need to move stock to find forage in at least some years has led to the evolution of nomadism and transhumance, and reciprocal grazing agreements among the holders of common-property rangeland. The role of such informal institutions in buffering resource variation is well documented in some Asian and African rangelands, but in societies with formally established private-property regimes, where we focus, such institutions have received little attention. We examine agistment networks, which play an important role in buffering resource variation in modern-day Australia. Agistment is a commercial arrangement between pastoralists who have less forage than they believe they require and pastoralists who believe they have more. Agistment facilitates the movement of livestock via a network based largely on trust. We are concerned exclusively with the link between the characteristics of biophysical variation and human aspects of agistment networks, and we developed a model to test the hypothesis that such a link could exist. Our model builds on game theory literature, which explains cooperation between strangers based on the ability of players to learn whom they can trust. Our game is played on a highly stylized landscape that allows us to control and isolate the degree of spatial variation and spatial covariation. We found that agistment networks are more effective where spatial variation in resource availability is high, and generally more effective when spatial covariation is low. Policy design that seeks to work with existing social networks in rangelands has potential, but this potential varies depending on localized characteristics of the biophysical variability. 2006 Journal of Artificial Societies and Social Simulation 9(1). Reputation systems are used to facilitate interaction between strangers in one-shot social dilemmas, like transactions in e-commerce. The functioning of various reputation systems depend on voluntary feedback derived from the participants in those social dilemmas. In this paper a model is presented under which frequencies of providing feedback to positive and negative experiences in reputation systems explain observed levels of cooperation. The results from simulations show that it is not likely that reputation scores alone will lead to high levels of cooperation. Keywords: Trust, Reputation, One-Shot Prisoner Dilemma, Voluntary Feedback, Symbols. 2005 Trends in Cognitive Sciences 9(9): 424-430. Computational models of human collective behavior offer promise in providing quantitative and empirically verifiable accounts of how individual decisions lead to the emergence of group-level organizations. Agent-based models (ABMs) describe interactions among individual agents and their environment, and provide a process-oriented alternative to descriptive mathematical models. Recent ABMs provide compelling accounts of group pattern formation, contagion and cooperation, and can be used to predict, manipulate and improve upon collective behavior. ABMs overcome an assumption that underlies much of cognitive science – that the individual is the crucial unit of cognition. The alternative advocated here is that individuals participate in collective organizations that they might not understand or even perceive, and that these organizations affect and are affected by individual behavior. 2003 Artificial Life 9(4): 343-356. Markets can show different types of dynamics, from quiet markets dominated by one or a few products, to markets with continual penetration of new and reintroduced products. In a previous article we explored the dynamics of markets from a psychological perspective using a multi-agent simulation model. The main results indicated that the behavioral rules dominating the artificial consumer’s decision making determine the resulting market dynamics, such as fashions, lock-in, and unstable renewal. Results also show the importance of psychological variables like social networks, preferences, and the need for identity to explain the dynamics of markets. In this article we extend this work in two directions. First, we will focus on a more systematic investigation of the effects of different network structures. The previous article was based on Watts and Strogatz’s approach, which describes the small-world and clustering characteristics in networks. More recent research demonstrated that many large networks display a scale-free power-law distribution for node connectivity. In terms of market dynamics this may imply that a small proportion of consumers may have an exceptional influence on the consumptive behavior of others (hubs, or early adapters). We show that market dynamics is a self-organized property depending on the interaction between the agents’ decision-making process (heuristics), the product characteristics (degree of satisfaction of unit of consumption, visibility), and the structure of interactions between agents (size of network and hubs in a social network). 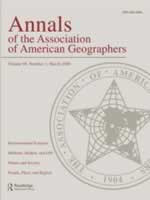 2003 Annals of the Association of American Geographers 93(2): 314-337. This article presents an overview of multi-agent system models of land-use/cover change (MAS/LUCC models). This special class of LUCC models combines a cellular landscape model with agent-based representations of decision making, integrating the two components through specification of interdependencies and feedbacks between agents and their environment. The authors review alternative LUCC modeling techniques and discuss the ways in which MAS/LUCC models may overcome some important limitations of existing techniques. We briefly review ongoing MAS/LUCC modeling efforts in four research areas. We discuss the potential strengths of MAS/LUCC models and suggest that these strengths guide researchers in assessing the appropriate choice of model for their particular research question. We find that MAS/LUCC models are particularly well suited for representing complex spatial interactions under heterogeneous conditions and for modeling decentralized, autonomous decision making. We discuss a range of possible roles for MAS/LUCC models, from abstract models designed to derive stylized hypotheses to empirically detailed simulation models appropriate for scenario and policy analysis. We also discuss the challenge of validation and verification for MAS/LUCC models. Finally, we outline important challenges and open research questions in this new field. We conclude that, while significant challenges exist, these models offer a promising new tool for researchers whose goal is to create fine-scale models of LUCC phenomena that focus on human-environment interactions. 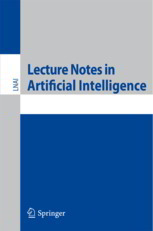 2003 Lecture Notes in Artificial Intelligence 2581: 36-49. In this paper we argue that simulating complex systems involving human behaviour requires agent rules based on a theoretically rooted structure that captures basic behavioural processes. Essential components of such a structure involve needs, decision-making processes and learning. Such a structure should be based on state-of-the-art behavioural theories and validated on the micro-level using experimental or field data of individual behaviour. We provide some experiences we had working with such a structure, which involve the possibility to relate the results of simulations on different topics, the ease of building in extra factors for specific research questions and the possibility to use empirical data in calibrating the model. A disadvantage we experienced is the lack of suiting empirical data, which necessitates in our view the combined use of empirical and simulation research. 2002 Journal of Environmental Psychology 22(3): 247-263. We report on a series of computer simulation experiments regarding the management of a common resource. We were particularly interested in the effects of uncertainty and satisfaction on the harvesting behaviour of simulated agents. The experimental study of long-term dynamics of threatened resources can hardly be carried out using human subjects. We therefore experimented with simulated consumers, the so-called consumats, whose properties are derived from a comprehensive, multitheoretical model of consumer behaviour. A consumat is equipped with needs and abilities, and may engage in different cognitive processes, such as deliberation, social comparison, imitation, and repetition of previous behaviour. In a first simulation experiment we show as to how uncertainty may stimulate an imitation effect that promotes over-harvesting. In two subsequent series of experiments, we show that increased uncertainty results in an increased ‘optimism’ of consumats regarding future outcomes, an increased likelihood of imitative behaviour, and a lesser adaptation of harvesting behaviour during resource depletion. These ‘process-effects’ promote higher levels of harvesting from a collective resource. The main experimental conclusions and the issue of validating simulation results are discussed. 2002 Journal of Evolutionary Economics 12(3): 283-306. This paper presents a model-based analysis of the introduction of green products, which are products with low environmental impacts. Both consumers and firms are simulated as populations of agents who differ in their behavioural characteristics. Model experiments illustrate the influence of behavioural characteristics on the success of switching to green consumption. The model reproduces empirical observed stylised facts and shows the importance of social processing and status seeking in diffusion processes. The flexibility of firms to adapt to new technology is found to have an important influence on the type of consumers who change their consumption to green products in the early phase of the diffusion process. 2002 Philosophical Transactions of the Royal Society London: Biological Sciences 357(1421): 719-725. We analyse commercially operated rangelands as coupled systems of people and nature. The biophysical components include: (i) the reduction and recovery of potential primary production, re ected as changes in grass production per unit of rainfall; (ii) changes in woody plants dependent on the grazing and re regimes; and (iii) livestock and wool dynamics in uenced by season, condition of the rangeland and numbers of wild and feral animals. The social components include the managers, who vary with regard to a range of cognitive abilities and lifestyle choices, and the regulators who vary in regard to policy goals. We compare agent-based and optimization models of a rangeland system. The agent-based model leads to recognition that policies select for certain management practices by creating a template that governs the trajectories of the behaviour of individuals, learning, and overall system dynamics. Conservative regu- lations reduce short-term loss in production but also restrict learning. A free-market environment leads to severe degradation but the surviving pastoralists perform well under subsequent variable conditions. The challenge for policy makers is to balance the needs for learning and for preventing excessive degra- dation. A genetic algorithm model optimizing for net discounted income and based on a population of management solutions (stocking rate, how much to suppress re, etc.) indicates that robust solutions lead to a loss of about 40% compared with solutions where the sequence of rainfall was known in advance: this is a similar gure to that obtained from the agent-based model. We conclude that, on the basis of Levin’s three criteria, rangelands with their livestock and human managers do constitute complex adaptive systems. If this is so, then command-and-control approaches to rangeland policy and management are bound to fail. 2001 Journal of Economic Psychology 22(6): 745-772. Markets can show different types of dynamics, from quiet markets dominated by one or few products, to markets with constant penetration of new and reintroduced products. This paper explores the dynamics of markets from a psychological perspective using a multi-agent simulation model. The behavioural rules of the artificial consumers, the consumats, are based on a conceptual meta-theory from psychology. The artificial consumers have to choose each period between similar products. Products remain in the market as long as they maintain a minimum level of market share, else they will be replaced by a new product. Assuming a population of consumats with different preferences, and social networks, the model simulates adoption of new products for alternative assumptions on behavioural rules. Furthermore, the consequences of changing preferences and the size of social networks are explored. Results show that the behavioural rules that dominate the artificial consumer’s decision making determine the resulting market dynamics, such as fashions, lock-in and unstable renewal. Results also show the importance of psychological variables like social networks, preferences and the need for identity to explain the dynamics of markets. 2001 International Journal of Sustainable Development 4(1): 90-100. Despite the abundance of empirical data on household energy consumption, it is hard to predict future developments because of the complexity of the household system. Multi-agent simulation offers a tool to get a better understanding of the relevant behavioural dynamics of the household system. This would allow for an early diagnosis and response to unwanted developments. A computer simulation of consumer behaviour has been developed on the basis of a meta-model of behaviour, which integrates various relevant behavioural theories. This so-called consumat approach has been applied to issues such as the lock-in of consumption patterns and the management of a common resource, and has been applied in an integrated ecological-economic model. This paper discusses the basic principles of the consumat approach, summarises some results, and draws conclusions with respect to the application of this approach in the domain of household consumption. Keywords: behavioural dynamics; consumat; consumer behaviour; household consumption; modelling; multi-agent simulation. 2001 Ecological Modelling 140(1-2): 111-124..
Ecosystem management requires the explicit treatment of interactions between humans and ecosystems. An exploratory model for integrating social and ecological dynamics was introduced to study ecosystem management strategies. This paper focuses on the management of lake eutrophication. The model was developed to include the dynamics of the lake, the behaviour of agents using phosphorus for agricultural purposes, and the interactions between ecosystem and farmers. Analyses with the model showed that the dominating type of cognitive processing was a relevant factor in the response to uncertainty and policy measures. A higher target level for returns on the use of phosphorus was found to lead to a more intensive use of phosphorus and to higher levels of phosphorus in the lake. Simulated farmers used phosphorus more intensively in situations with high natural variability. A tax on phosphorus had little effect on the behaviour of the farmers when they felt uncertain and had low target levels for returns. Keywords: Lake management; Social psychology; Resilience; Eutrophication; Multi-agent modelling; Integrated modeling. 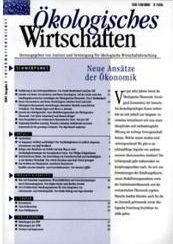 2001 Oekologisches Wirtschaften 2: 14-17. Die Lenkung der gegenwärtigen konsum- und produktionsmuster in eine nach- haltigere richtung erfordert eine ausführliche studie des menschlichen Verhal- tens. um dessen komplexität angemessen zu berücksichtigen, wird hier ein multi-agenten-ansatz vorgeschlagen, der erkenntnisse der sozialpsychologie integriert. am Beispiel des Übergangs von einer fischerei- zu einer Bergbauge- sellschaft wird gezeigt, wie sich unterschiedliche Verhaltensannahmen auf die mensch-umwelt-Beziehungen auswirken. 2000 Advances in Complex Systems 3: 323-334. Markets can show different types of dynamics, ranging from stable markets dominated by one or a few products, to fluctuating markets where products are frequently being replaced by new versions. This paper explores the dynamics of markets from a psychological perspective using a multi-agent simulation model. The behavioural rules of the artificial consumers, the consumats, are based on a conceptual meta-theory from psychology. The artificial consumers have to choose each period between different products. Products remain on the market for as long as their market share exceeds a minimum level. If not, it will be replaced by a new product. Simulation experiments are being performed with a population of consumats having different preferences. Results show that the dominating type of cognitive (choice) process has large consequences for the resulting market dynamics. Moreover, the size of the social network affects the market dynamics too. Keywords: social networks; consumer behaviour; market dynamics. 2000 Ecological Economics 35(3): 357-380. In mainstream economy, behaviour is often formalised following the rational actor-approach. However, in real life the behaviour of people is typified by multidimensional optimisation. To realise this, people engage in cognitive processes such as social comparison, imitation and repetitive behaviour (habits) so as to efficiently use their limited cognitive resources. A multi-agent simulation program is being developed to study how such micro-level processes affect macro-level outcomes. Sixteen agents are placed in a micro-world, consisting of a lake and a gold mine. Each agent’s task is to satisfy its personal needs by fishing and/or mining, whereby they find themselves in a commons dilemma facing the risk of resource depletion. Homo economicus and Homo psychologicus are formalised to study the effects of different cognitive processes on the agents’ behaviour. Results show that for the H. psychologicus the transition from a fishing to a mining society is more complete than for the H. economicus. 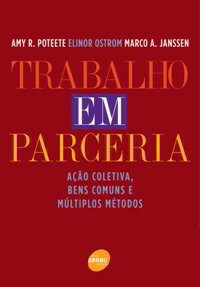 Moreover, introducing diversity in agents’ abilities causes the H. economicus on the average to decrease its time spent working, whereas for the H. psychologicus we observe an increase in the time spent working. These results confirm that macro-level indicators of sustainability, such as pollution and fish-harvest, are strongly and predictably affected by behavioural processes at the micro-level. 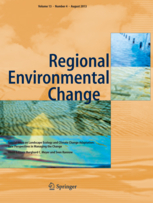 It is concluded that the incorporation of a micro-level perspective on human behaviour within integrated models of the environment yields a better understanding and eventual management of the processes involved in environmental degradation. 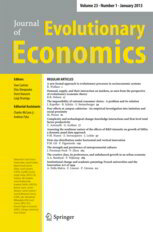 Keywords: Commons dilemma; Resource; Consumat; Simulation; Multi-agent; Dynamics; Psychology. 2000 Ecological Modelling 131(2/3): 249-268. This paper describes an adaptive agent model of rangelands based on concepts of complex adaptive systems. The behavioural and biological processes of pastoralists, regulators, livestock, grass and shrubs are modelled as well as the interactions between these components. The evolution of the rangeland system is studied under different policy and institutional regimes that affect the behaviour and learning of pastoralists, and hence the state of the ecological system. Adaptive agent models show that effective learning and effective ecosystem management do not necessarily coincide and can suggest potentially useful alternatives to the design of policies and institutions. Keywords: Complex adaptive systems; Ecosystem management; Rangelands; Adaptive agents. Global modeling has been used for decades to assess the possible futures of humanity and the global environment. However, these models do not always satisfactorily include the adaptive characteristics of systems. In this article, a general approach is used to simulate change and transition at a macrolevel due to adaptation at a microlevel. Tools from complex adaptive systems research are used to simulate the microlevel and consequently determine parameter values of the equation-based macrolevel model. Two case studies that applied this approach are reviewed. The first study assessed the efficacy of efforts to control malaria, whereas the second study used an integrated model to construct climate change scenarios by using various possible views on the nature of the climate system. Key words: complex adaptive systems; global change; climate change; malaria; multiagent modeling; adaptation; coevolution; genetic algorithms. 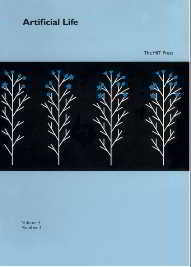 1998 Ecological Economics 26(1): 43-65. To evaluate possible futures with regard to economy, energy and climate, a multi-agent modelling approach is used. Agents hold different perspectives on how the world functions (worldview) and how it should be managed (management style) and this is implemented in a simple dynamic model of the economy-energy-climate system. Each perspective is supported by a proportion of the agents, but this proportion changes in response to observations about the real world. In this way the totality of agents learn from their observations. 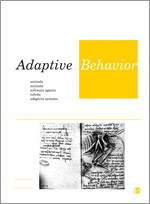 It is concluded that this approach is a good illustration of how adaptive behavior can be included in global change modelling. Some exploratory experiments are done to address the consequences of surprises. Keywords: Global change; Integrated assessment modeling; Perspectives; Multi-agent modeling. 1997 Artificial Life 3(3): 213-237. 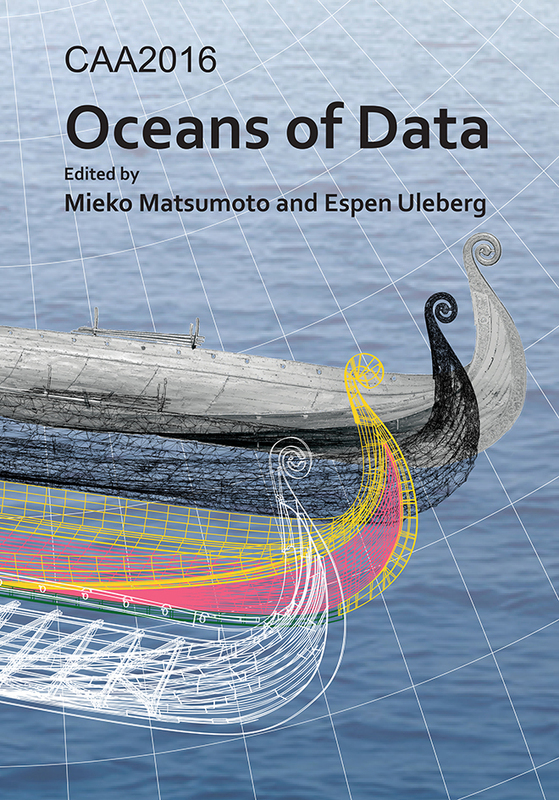 2018 In Proceedings of the 44th Computer Applications and Quantitative Methods in Archaeology Conference (CAA 2016), edited by Mieko Matsumoto and Espen Uleberg, 507–522, Archaeopress. Even a simple human foraging system has a large number of moving parts. Foragers require a complex decision making process to effectively exploit the spatially and temporally variable resources in an environment. Here we present an agent-based modelling framework, based in optimal foraging theory, for agent foragers to make mobility and foraging decisions by weighing expected caloric returns against geographic and social factors, and forecasted future return rates. We apply our Paleoscape model to a spatially explicit South African coastal landscape to better understand the human foraging system of the Middle Stone Age, when foragers began systematically exploiting a wide variety of flora and fauna in both terrestrial and inter-tidal environments. We also discuss the broader importance of agent-based models of foraging systems for a wide variety of archaeological research questions. 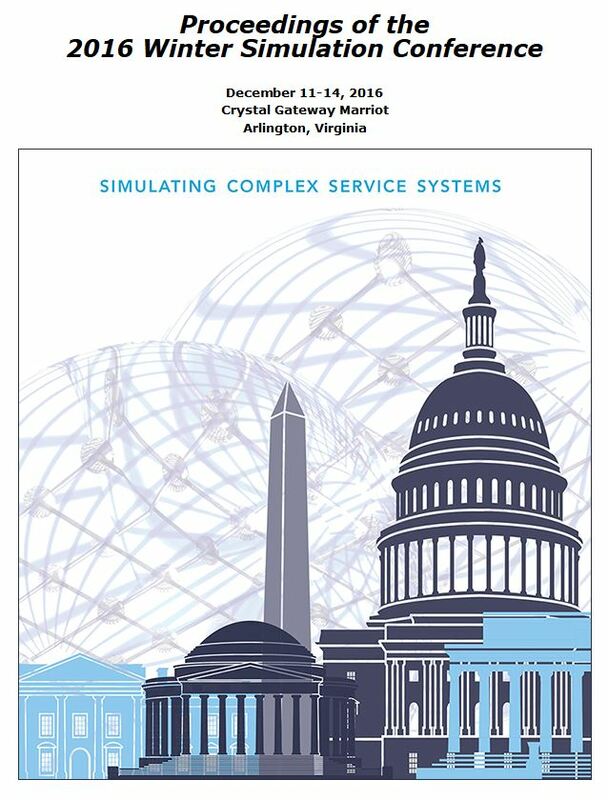 2016 In Proceedings of the 2016 Winter Simulation Conference , edited by T.M.K. Roeder, P.I. Frazier, R. Szechtman, E. Zhou, T. Huschka, and S.E. Chick, 3464-3475, IEEE. Large scale collaboration is a fundamental characteristic of human society, and has recently manifested in the development and proliferation of online communities. These virtual social spaces provide an opportunity to explore large scale collaborations as natural experiments in which determinants of success can be tested. In order to do this, we first review previous work on meddling online communities to build an understanding of how these communities function. Having thus identified the operating mechanisms inherent in online communities, we propose a population ecology model of online communities that seeks to explain a number of statistical patterns from a selection of such communities. 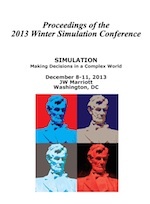 2016 In Proceedings of the 2016 Winter Simulation Conference , edited by T.M.K. Roeder, P.I. Frazier, R. Szechtman, E. Zhou, T. Huschka, and S.E. Chick, 1690-1701, IEEE. 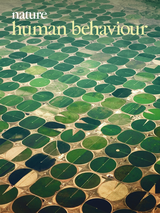 Our understanding of human behavior is limited and consequently lacks a standard formal model of human behavior that could represent relevant behavior in social-ecological systems. In this paper we explore the consequences of alternative behavioral models using a simple dynamic system of agents of harvesting daisies in the well-known Daisyworld model. We explore the consequences of different behavioral assumptions and derive optimal tax policies that lead to sustainable outcomes for each of the theories. 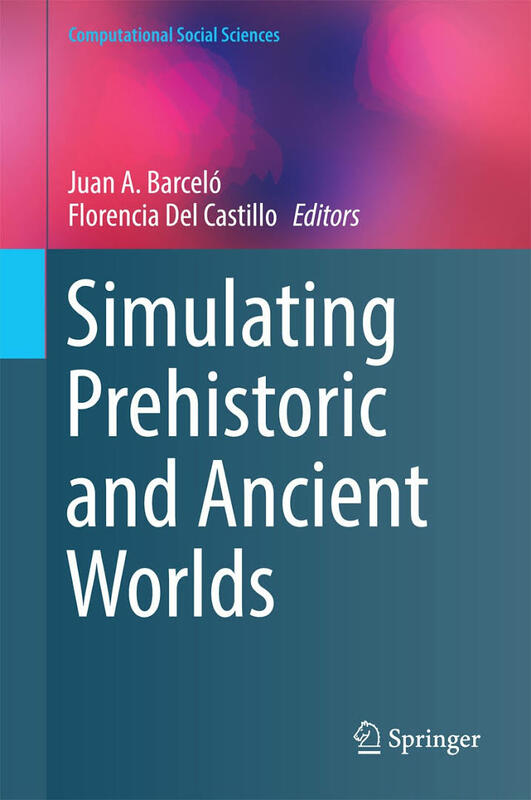 2016 In Simulating Prehistoric and Ancient Worlds, edited by J.A. Barceló and F. Del Castillo, 159-174, Springer. 2016 In Simulating Prehistoric and Ancient Worlds, edited by J.A. Barceló and F. Del Castillo, 175-188, Springer. 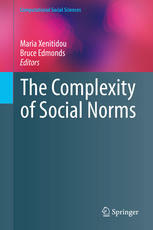 2014 In Complexity of Social Norms, edited by M. Xenitidou and B. Edmunds, pp. 161-173, Springer. 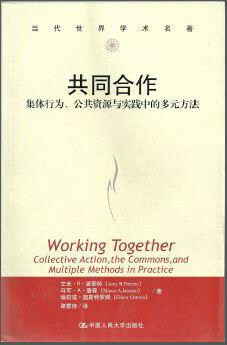 The ability of groups to self-govern their common pool resources is well documented (Ostrom, 1990). Whether common pool resources are fish stocks or freshwater or forest products, success of self-governance relates to the ability of appropriators to develop trust relationships, monitor and enforce agreements, and communicate among each other. 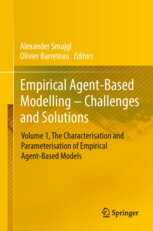 2014 In Empirical agent-based-modelling - Challenges and Solutions: Volume 1: The Characterisation and Parameterisation of Empirical Agent-Based Models, edited by A. Smaigl and C. Barreteau, pp. 189-205, Springer. This chapter described the empirical calibration of a theoretical model based on data from field experiments. Field experiments on irrigation dilemmas were performed to understand how resource users overcome asymmetric collective action problems. The fundamental problem facing irrigation systems is how to solve two related collective action problems: (1) the provision of the physical and ecological infrastructure necessary to utilize the resource (water), and (2) the irrigation dilemma where the relative positions of “head-enders” and “tail-enders” generate a sequential access to the resource itself (water). If actors act as rational, self-interested, agents, it is difficult to understand how irrigation infrastructure would ever be constructed and maintained by the farmers obtaining water from a system as contrasted to a government irrigation bureaucracy. Wittfogel (1957) argued that a central control was indispensable for the functioning of larger irrigation systems and hypothesized that some state-level societies have emerged as a necessary side-effect of solving problems associated with the use of large-scale irrigation. 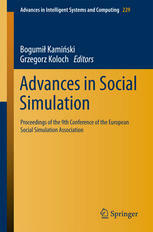 2014 In Advances in Social Simulation, edited by by B. Kamiński and G. Koloch, Advances in Intelligent Systems and Computing, 229: 259-270, Springer Berlin Heidelberg. In this paper we apply the updated consumat approach to the case of diffusion of electric cars. We will discuss how data from a large sample can be used to parameterize a number of main behavioural drivers, and how these relate to behavioural processes. At this stage we explain how the data fit in the framework, and whereas a model is currently under development, first simulation results are to be available first during the ESSA conference. 2013 In Proceedings of the 2013 Winter Simulation Conference, edited by R. Pasupathy, S.-H. Kim, A. Tolk, R. Hill, and M. E. Kuh, pp.1743-1753, . 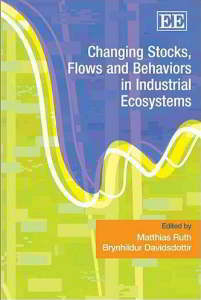 2008 In Changing Stocks, Flows and Behaviors in Industrial Ecosystems, edited by M. Ruth and B. Davidsdottir , pp 77-80, Edward Elgar, Cheltenham. 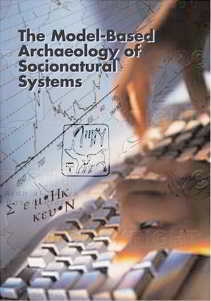 2007 In The Model-based Archaeology of Socionatural Systems, edited by T.A. Kohler and S.E. van der Leeuw , pp. 157-173, School for Advanced Research Press. Hominids Foraging in a Complex Landscape: Could Homo ergaster and Australopithecus boisei Meet their Calorie Requirements? 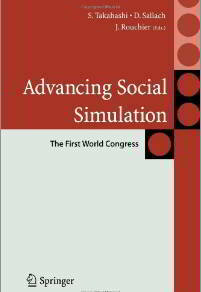 2007 In Advancing Social Simulation, edited by S. Takahashi, D. Sallach and J. Rouchier, pp. 307-318, Springer. In this paper we present results of an agent-based model of foraging of hominids. The model represents foraging activities in a landscape that is based on detailed measurements of food availability in the modern East African environ- ments. These current landscapes are used as a model for the environment of the hominids one million years ago. We use the model to explore possible rankings of food preferences for different types of hominids (Homo ergaster and Australo- pithecus boisei) in different types of semi-arid landscapes. We let the agents adjust their preferences to maximize their calories intake and show that A. boisei could not meet its calories requirements in different landscapes. 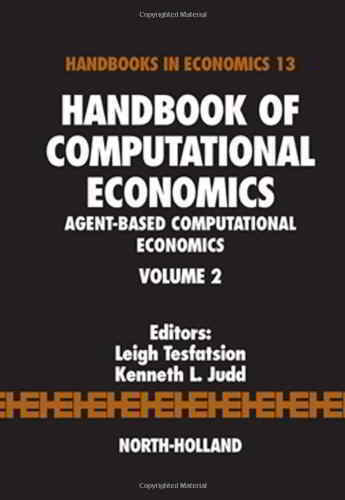 2006 In Handbook of Computational Economics II: Agent-Based Computational Economics, edited by L. Tesfatsion and K.L. Judd, pp. 1465-1509, Elsevier Publisher. Social-ecological systems are complex adaptive systems where social and biophysical agents are interacting at multiple temporal and spatial scales. 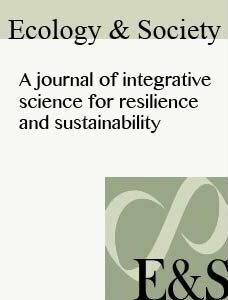 The main challenge for the study of governance of social-ecological systems is improving our understanding of the conditions under which cooperative solutions are sustained, how social actors can make robust decisions in the face of uncertainty and how the topology of interactions between social and biophysical actors affect governance. We review the contributions of agent-based modeling to these challenges for theoretical studies, studies which combines models with laboratory experiments and applications of practical case studies. Empirical studies from laboratory experiments and field work have challenged the predictions of the conventional model of the selfish rational agent for common pool resources and public-good games. Agent-based models have been used to test alternative models of decision-making which are more in line with the empirical record. Those models include bounded rationality, other regarding preferences and heterogeneity among the attributes of agents. Uncertainty and incomplete knowledge are directly related to the study of governance of social-ecological systems. Agent-based models have been developed to explore the consequences of incomplete knowledge and to identify adaptive responses that limited the undesirable consequences of uncertainties. Finally, the studies on the topology of agent interactions mainly focus on land use change, in which models of decision-making are combined with geographical information systems. Conventional approaches in enviromental economics do not explicitly include non-convex dynamics of ecosystems, non-random interactions of agents, incomplete understanding, and empirically based models of behavior in collective action. Although agent-based modeling for social-ecological systems is in its infancy, it addresses the above features explicitly and is therefore potentially useful to address the current challenges in the study of governance of social-ecological systems. 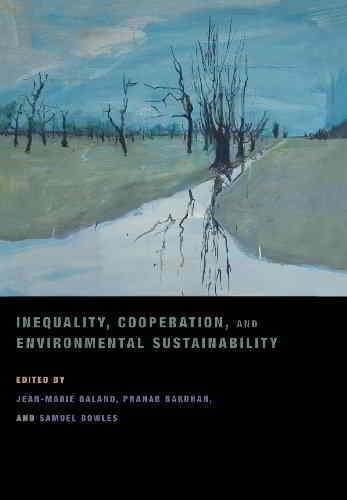 2006 In Inequality, Cooperation, and Environmental Sustainability, edited by Jean-Marie Baland, Pranab Bardhan, and Samuel Bowles, pp. 60-96, Princeton University Press, Princeton, NJ. 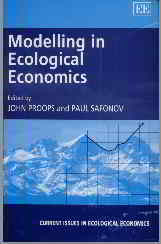 2005 In Modelling in Ecological Economics, edited by J Proops and P. Safonov, pp. 155-172, Edward Elgar Publishers. Edward Elgar Publishing, Cheltenham. Empirical foundations for agent-based modeling: how do institutions affect agents’ land-use decision processes in Indiana? 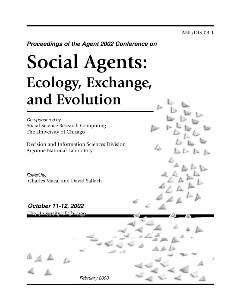 2003 In Proceedings of the Agent 2002 Conference on Social Agents: Ecology, Exchange, and Evolution, edited by C. Macal and D. Sallach, pp. 133-148, Argonne National Laboratory, IL. The use of agent-based modeling (ABM) has recently been extended to the study of natural resource management and land-use and land-cover change. Many ABM applications have been at a conceptual and abstract level, which helps scholars to recognize how macro patterns can emerge from simple rules followed by agents at a micro level. ABM has a greater potential than many other approaches to capture the dynamic relationships between social and ecological systems. 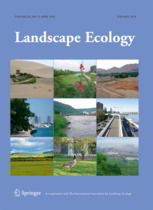 This paper contributes to a larger effort to explore how individual decision making by a heterogeneous set of landowners, given local biophysical conditions, led to the particular aggregate pattern of land-cover change in Indiana, with an emphasis on forest-cover change. In our preliminary effort, we created a model structure that allowed examination of the institutional impact of government programs on individual land-use decisions. Our model is based on the concept that an initial condition endows an agent with a particular set of beliefs and desires that could lead to any number of intentions, actions, and outcomes. Institutions have the potential to intervene in an agent’s decision-making process and alter its beliefs and desires by providing information and incentives. The next crucial step in our effort will be to extend this model to study the impact of other political institutions, such as taxation and zoning, as well as utilize the conceptual model to facilitate implementation of institutions in the agent-based model. 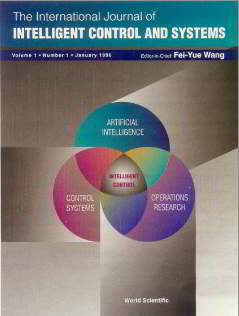 2003 In Agent-Based Computational Demography, edited by A. Fürnkranz-Prskawetz and F.C. Billari, pp. 55-72, Springer Verlag. Multi agent simulation (MAS) is a tool that can be used to explore the dynamics of different systems. Considering that many demographic phenomena have roots in individual choice behaviour and social interactions it is important that this behaviour is being translated in agent rules. Several behaviour theories are relevant in this context, and hence there is a necessity of using a meta-theory of behaviour as a framework for the development of agent rules. The consumat approach provides a basis for such a framework, as is demonstrated with a discussion of modelling the diffusion of contraceptives. These diffusion processes are strongly influenced by social processes and cognitive strategies. Different possible research lines are discussed which might be addressed with a multi-agent approach like the consumats. 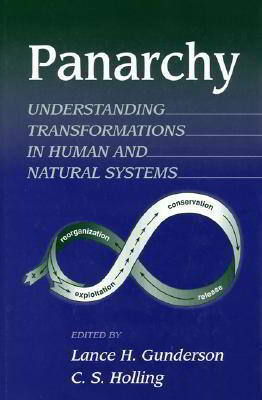 2002 In Panarchy: Understanding Transformations in Human and Natural Systems, edited by L. Gunderson and C.S. Holling, pp. 241-260, Island Press. 2002 In Proceedings of the 2002 Congress on Evolutionary Computation, pp. 687-692, Institute of Electrical and Electronics Engineers (IEEE), Piscataway, NJ, USA. 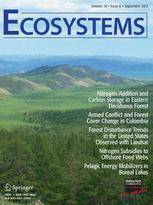 This paper discusses the evolution of rules between people for the management of ecosystems. Four aspects of the rules are discussed: coding, creation, selection and memory. The immune system provides us a useful metaphor to relate these four aspects into a coherent framework. We sketch a framework for a computational model to study the evolution of rules for the management of ecosystems. 2002 In Complexity and Ecosystem Management: The Theory and Practice of Multi-agent Systems, edited by Janssen, M.A., pp. 1-10, Edward Elgar Publishers, Cheltenham UK/ Northampton, MA, USA. 2002 In Complexity and Ecosystem Management: The Theory and Practice of Multi-agent Systems, edited by Janssen, M.A., pp. 75-102, Edward Elgar Publishers, Cheltenham UK/ Northampton, MA, USA. 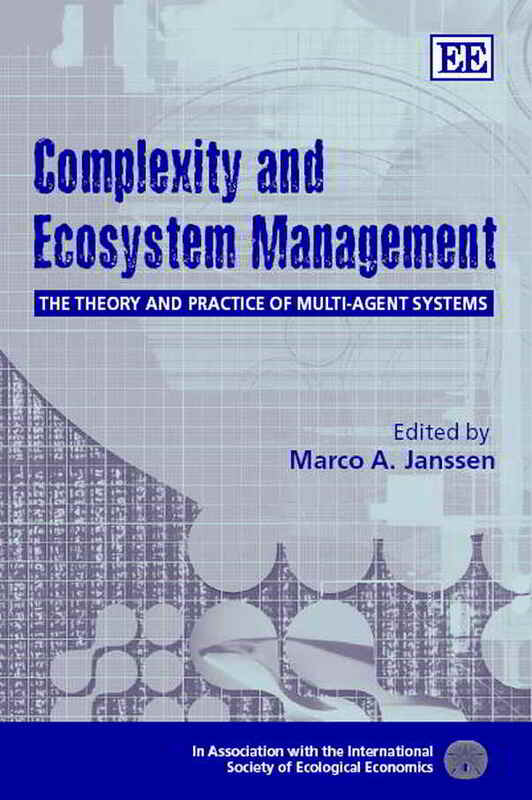 2002 In Complexity and Ecosystem Management: The Theory and Practice of Multi-agent Systems, edited by Janssen, M.A., pp. 103-124, Edward Elgar Publishers, Cheltenham UK/ Northampton, MA, USA.